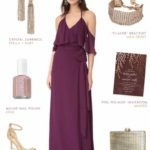 Attending a wedding this spring? Here are 8 lovely wedding guest dress picks to wear to every sort of spring wedding! Please note, this post was wriiten so many of the dresses in the original collage are out of stock, but I have updated the dresses below with currently in-stock picks for 2018 weddings. 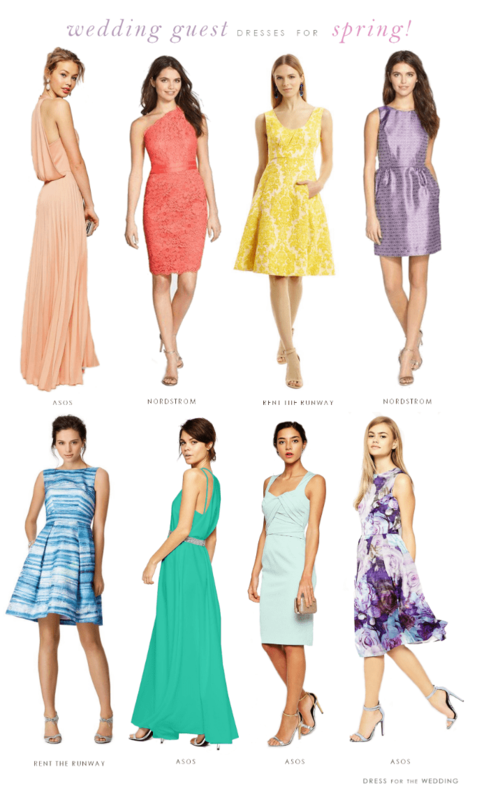 Also visit this page to see our latest Spring Wedding Guest Dress Picks! I can practically hear the soft thud of wedding invitations hitting your respective mailboxes this time of year! Wedding season is upon us. 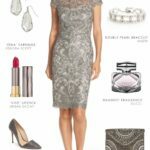 You’re probably just now saving dates and RSVPing to April, May, and June weddings and possibly wondering what to wear. 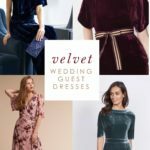 These guest dresses are among my favorites because of their general loveliness and their suitably for weddings across the board. 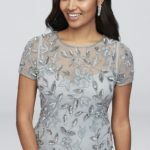 If you have a daytime wedding or a wedding with a dressy casual or casual chic dress code, or a bridal shower to attend I love light dresses like #3,the Honey Jacquard Dress , #5 the Blue Gradient Dress by Theia (Both for rent from Rent the Runway) or that pretty #6 the floral dress from ASOS. The pretty pale blue Brice Dress at ASOS could also work for a daytime wedding or for late afternoon into evening because of the tighter cocktail styling. 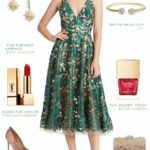 For more semi-formal picks where cocktail attire is the best choice, you can add some dressy accessories to the more casual dresses, or step it up a notch and pick the lace coral dress coral lace dress or that lovely purple bow back dress . 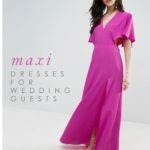 If you have a formal wedding, or just want to wear a longer style to a semi-formal wedding, try either one of those maxi dresses. Dress them down for a beach wedding or semi-formal wedding, or dress them up for a formal or black tie event. Those maxi dresses are suited to so many settings! I hope I’ve helped a little on your search for what to wear. If you need more inspiration, check out these recent looks as well as the shop! 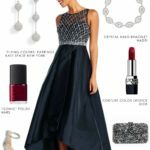 You can search by semi-formal and cocktail attire, daytime casual chic attire, and maxi dresses and formal evening gowns. Bad timing for me to see this post on a Monday morning. Pardon my procrastination, it’s time to shop! 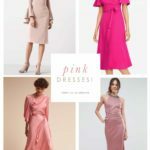 Loving these dresses, particularly the first dress by ASOS – that is a perfect shade of peachy pink! That first ASOS dress is divine. I totally agree with you Sara, that dress is so gorgeous! I actually got my first invite two days ago so this is perfect timing! So many gorgeous choices here! !